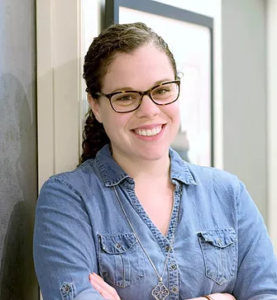 On this week’s edition of “This is Tourism,” join WCHL’s Ron Stutts in a conversation with Torey Mishoe, executive director of the Hillsborough Arts Council. Mishoe has been involved with the arts for most of her life, and is currently working as an advocate for arts education, initiatives and programs that make creative expression inclusive and accessible for all populations. The Hillsborough Arts Council is officially endorsed by the town of Hillsborough, and has been supporting local arts and artists for over three decades. 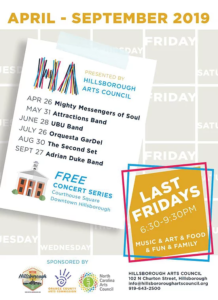 In Hillsborough particularly, art aficionados will most likely find Last Fridays to their liking, as the end of every month from April through September is filled with music, crafts, performers, film visual art and more in downtown Hillsborough. 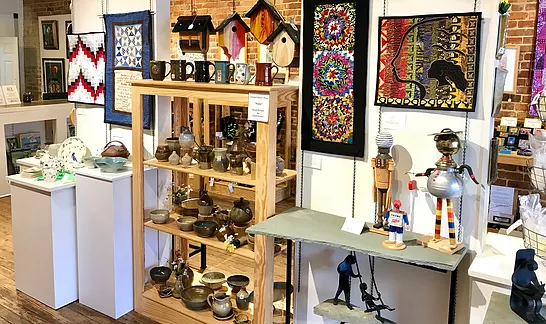 Each Last Friday fills the town square with artists and vendors, and downtown galleries and sidewalk cafes provide a walking tour of fantastic local art.